DJ Shadow has always been one of my main influences, so with that in mind I decided to create a samplepack inspired entirely by his sound, especially from the ‘Endtroducing’ days. ‘Cut & Paste Mixology‘ contains 499 DJ Shadow-inspired sounds including a complete drum library, 8 full kits, 8 break kits and additional instrument sounds, with a gritty mix vinyl tones, vintage vibes and plenty of the heavy-duty drum layering you’ve come to expect from my samplepacks over the years. On this page you can download a free DJ Shadow drum kit from the pack itself which features kick, snare, closed hat, open hat, various percussion, fx, an instrument stab and a bass tone for 16 Level use. I’ve also included an MPC program file to map the kit across your pads; the MPC Software (.XPM) and MPC5000 (.50s) feature random layer playback on the kick, hat and snare, while the MPC1000/2500/500/JJOS version (PGM) features velocity layer switching. There’s even a legacy version for older MPCs. To buy the complete samplepack, head over to MPC-Samples.com. 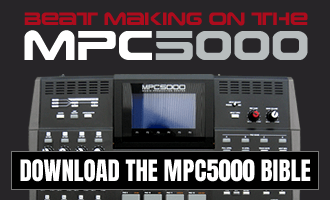 mpc 2000xl without the records? or that’s how you do it with records?